Trade your ticket to hop aboard a double-decker bus for a MetroCard to explore NYC like a local, with unmatched access to Manhattan’s hidden gems. Offering a wealth of cultural events, arts, gaming and one-of-a-kind exhibits, some of the best NYC attractions offer experiences you’ll want to remember. Why spend an entire day of your vacation standing in line to climb to the top of the Empire State Building when you can discover what the real New York is all about? 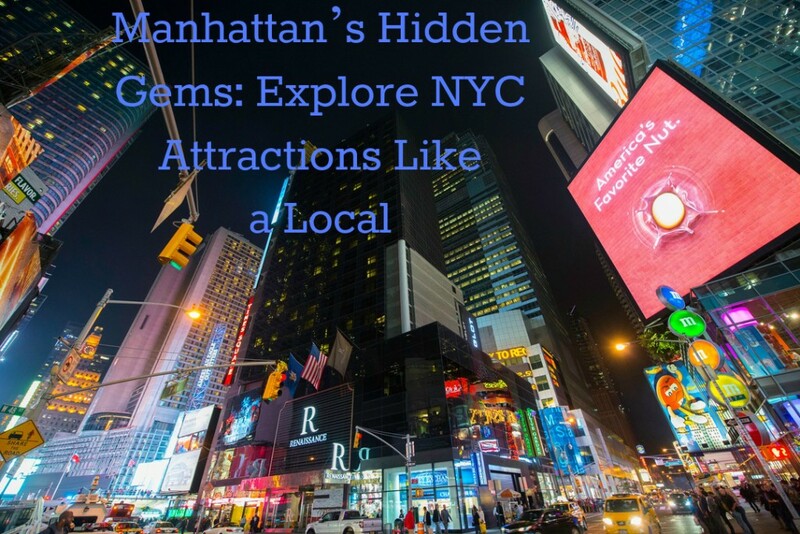 Take comfort in knowing that the city is always bustling with endless things to do in Manhattan, but the best experiences often occur when you explore a new place the way the locals do. Go ahead, take advantage of some of our favorite hidden gems on your next getaway. After all, there’s no place like Manhattan. Want to explore NYC with a local photographer? Book a private photo tour for a custom itinerary and high resolution photos of your group! New York’s famous City Hall subway station has been closed for decades, but can be viewed by in-the-know locals and visitors alike. The line, which opened in 1904, was intended to be a crown jewel featuring tall tile arches, brass fixtures and skylights. Unfortunately, after a few decades, this station stop closed. 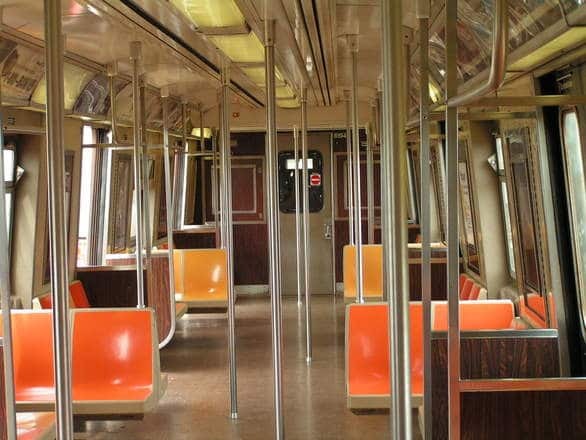 While it’s still not open to the general public, you can view it by staying on the 6 train past the Brooklyn Bridge stop and enjoy the view as the train turns around. Sure, there are lots of rooftop gardens in New York. While you may head to Rockefeller Center to see a show or to head to Top of the Rock for impressive skyline views, if you don’t stop by the secret gardens, you’re missing out. 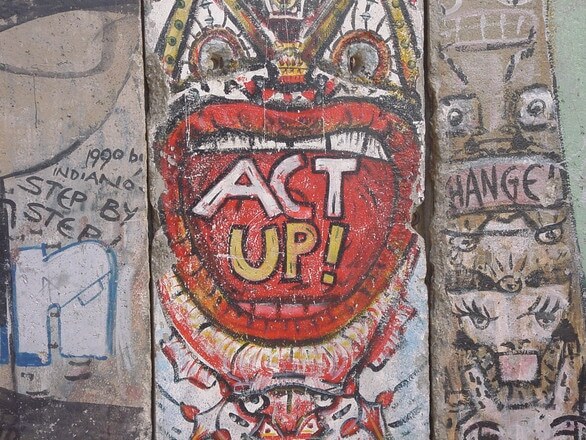 Dismantled in 1991 with over 40,000 wall sections recycled, the Berlin Wall remains an icon for many. Five of the preserved sections now appear in New York City. Our favorite? The 520 Madison Avenue Berlin Wall. Head to the Lower East Side to view a rooftop statue of Vladimir Lenin atop a rental building known as the Red Square. In the 1980s, the Soviet State commissioned this sculpture which was never displayed in Russia. Today it stands tall among lounges, Chinese take-out spots, and bodegas. We hope this guide helps you navigate through some of the most unique places and things to see in New York City. When you return home, be sure to tell your friends and family about how you experienced what it’s really like to do New York – but without the crazy rent prices! When in downtown Manhattan head over to Maiden Lane and Broadway. At he intersection you’ll find a bronze clock embedded in the sidewalk. 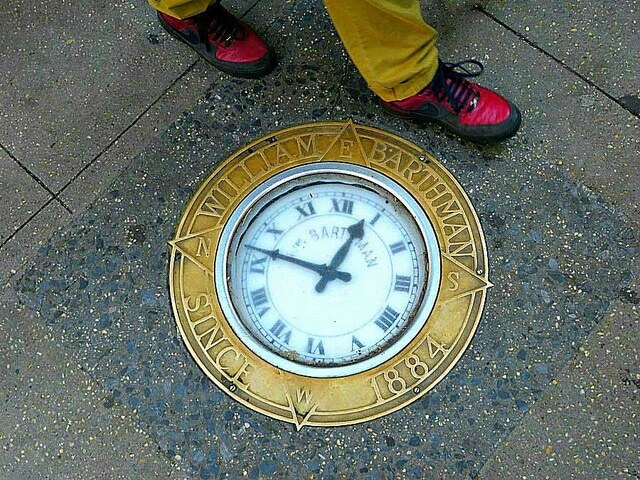 This clock has been ticking for over a century. Unfortunately many New Yorkers unknowingly pass over it. The clock was designed by a jeweler in 1896 who intended for it to help draw customers into his jewelry store on the block. Maiden Lane Clock. Photo: John Wisniewski/flickr. What’s your favorite explore NYC experience? Please share in the comments below!